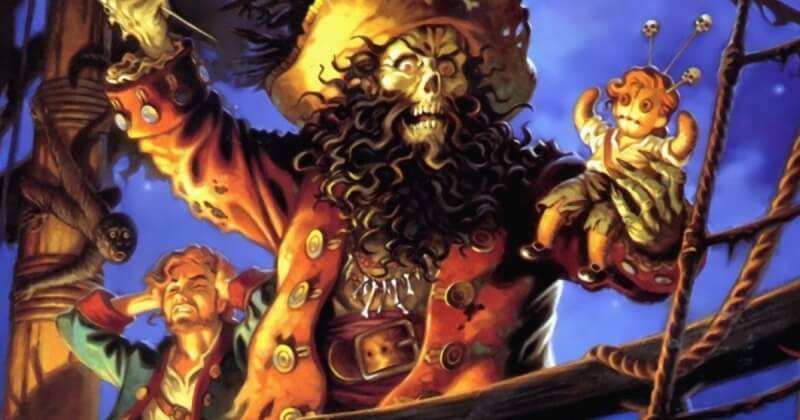 While Disney’s exit from the self-publishing video game business earlier this month was bad news for fans of its toys-to-life Infinity series, it could be good news for lovers of the classic The Secret of Monkey Island and Maniac Mansion franchises. The titles’ co-creator, Ron Gilbert, has asked Disney to sell the rights to the games back to him. This was followed by another Tweet that explained he got the name of his own game wrong because he’s “incapable of proof reading” his posts, which is "part of the charm in following him." Disney gained the rights to the adventure game franchises after it acquired LucasArts as part of the $4.05 billion deal to buy Lucasfilm in 2013. Five months later, Disney shut down the studio, saying that LucasArts would better serve the company by licensing properties instead of developing them in-house. Gilbert has spoken of his desire to make a new Monkey Island on previous occasions. In a 2012 Eurogamer interview, he said "I would love to get the rights back to Monkey Island and be able to really make the game I want to make.” Gilbert followed this up a year later with a blog called ‘If I made another Monkey Island,’ which details his plans for the game should he ever be allowed to make it. Gilbert is currently working on Thimbleweed Park, which has the same visuals and mechanics as his classic point-and-click adventures, with a few modern twists. It's due out in early 2017. According to Gilbert: "We don't want to detract from Call of Duty by releasing [during the holiday rush]." As for getting back the Monkey Island/Maniac Mansion rights, Gilbert says that “money isn’t the issue,” it seems that it all comes down to whether Disney would want to sell them to him. Gilbert isn’t the only iconic game designer looking to get the creative rights to his games back. Warren Spector, the director/producer of the original Deus Ex, sent out a tweet asking for the IPs back that he created at Junction Point Studios, which Disney also acquired and later closed. Hey, Disney, now that you're out of games can I have the IP I created at @JunctionPoint back? You're never going to do anything with them. It’s not known which IPs Spector is referring to, but one of them is thought to be Necessary Evil, an intended sequel to Deus Ex, according to Gamespot.